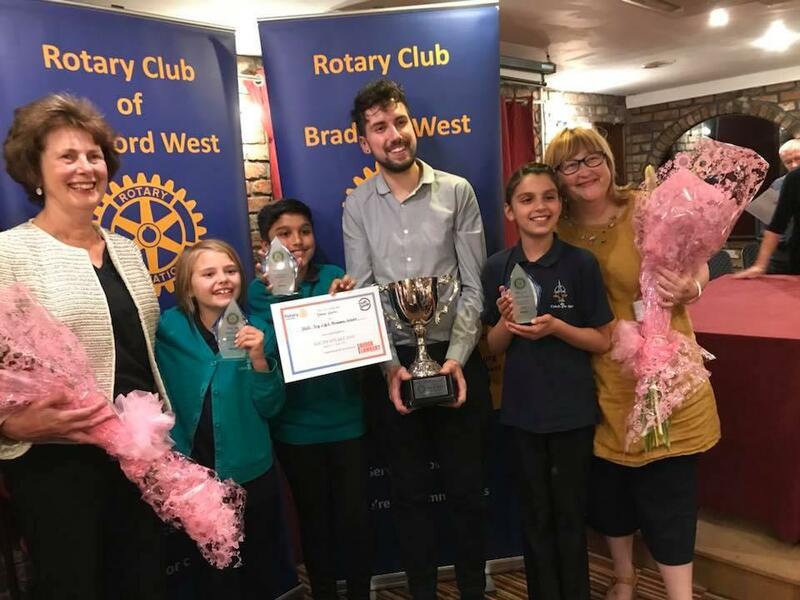 Hill Top C of E Primary School, Winners of our Youth Speaks competition last year with teacher (central) and adjudicators. A fantastic evening - all teams from Hill Top, Farnham, Keelham and Low Moor Primary schools were amazing! !